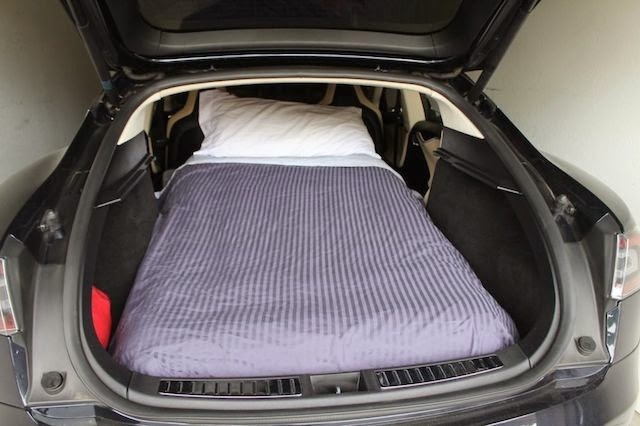 An entrepreneurial Tesla owner in Phoenix has put his Model S on Airbnb. According to his listing you can "camp" in his Tesla as your private room and you get access to a kitchen, TV room, & bathroom/shower in the house. He'll even pick you up and drop you off at the airport in your would-be bedroom. You can use the car's 17" touchscreen to browse the web and listen to Pandora as to drift off to sleep by the flicker of two battery powered LED candles. 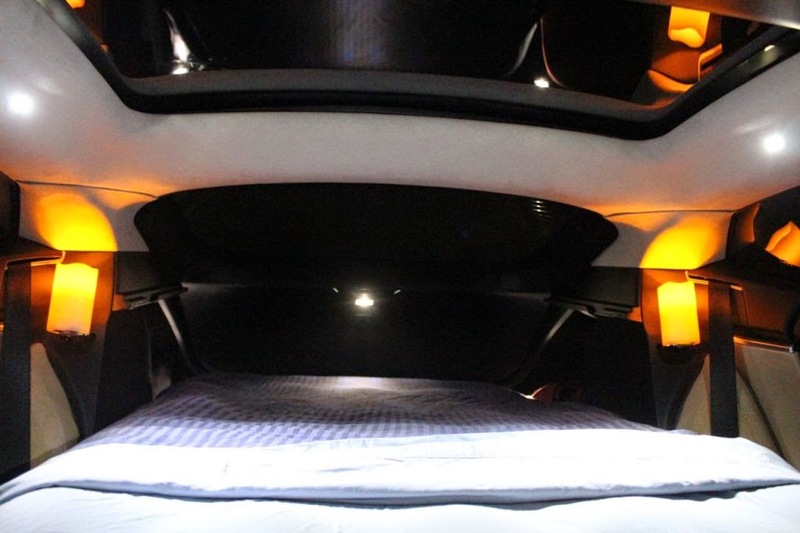 So if you are in the Phoenix area and you ever wanted to sleep in a Model S, for just $85 a night, this is your chance. Oh, if you are just looking for a ride and not a night's stay, the car is listed on Uber too. There have been various studies that compare the environmental impacts of electric cars to gasoline-powered cars. Depending on who is doing the study, their agenda, thoroughness, and the factors they consider, either side can "win". In the studies where gas cars come out on top, there are generally several relevant factors that are left out. These "EVs Are Just As Dirty" studies generally have a "coal powered" EV compared to a gas car's tailpipe emissions. These studies often ignore all the emissions related to the production of gasoline. They ignore that EVs have high adoption rates in regions and households that generally support and use renewable energy. They don't consider the significant amount of energy that is used to refine crude oil into gasoline. They don't consider the environmental damage of oil spills that happen every month. They don't consider that new wind turbines and solar panels are being installed, while the cost to operate and fuel coal plants means they are not as profitable as they once were compared to renewables. A grid-powered EV put on the road today, will be running cleaner 5 years from now. They don't consider the military and political costs related to our involvement oil regions. They don't consider the urban air quality and the related health concerns. They don't consider the cancer hot zones that surround refineries. To be fair, a grid-powered EV must be burdened to some degree with coal mining related damage, mountaintop removal, and natural gas fracking. Whereas gasoline is used almost exclusively for transportation, electricity has many uses. This burden on EVs will have to be amortized with every porchlight, air-conditioner, and refrigerator, but it cannot be ignored. The time of day that EVs generally charge needs to be considered too. Most EVs charge overnight and because of the way many cogeneration plants operate and since wind speeds are often strongest at night, this means that EVs use electricity that would often be dumped to ground. It would be nice to see a study that thoroughly examines all of these aspects and gives a full accounting. Today, the most comprehensive study that I am aware of is the one by The Union of Concerned Scientists. Their study was first conducted in 2012 and updated in 2014. They found that in all regions of the US, EVs are comprehensively better for the environment than gas cars. The 2014 update shows that EVs had improved significantly in just these 2 short years since the initial study as more wind and solar came online. As you drive down the road, there are two primary forces that slow your car: aerodynamic drag & rolling resistance (assuming flat ground and you are not breaking). 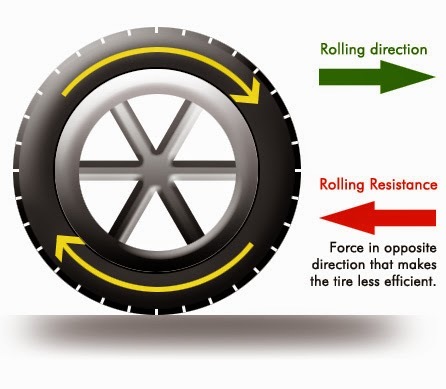 Rolling resistance is the energy lost to tire deformation as you drive. Reducing rolling resistance is one of the reasons that trains have steel wheels. Depending on the weight of the vehicle, up to 25% of the vehicle's power is used to push the tires down the road. Rolling resistance applied to EVs? 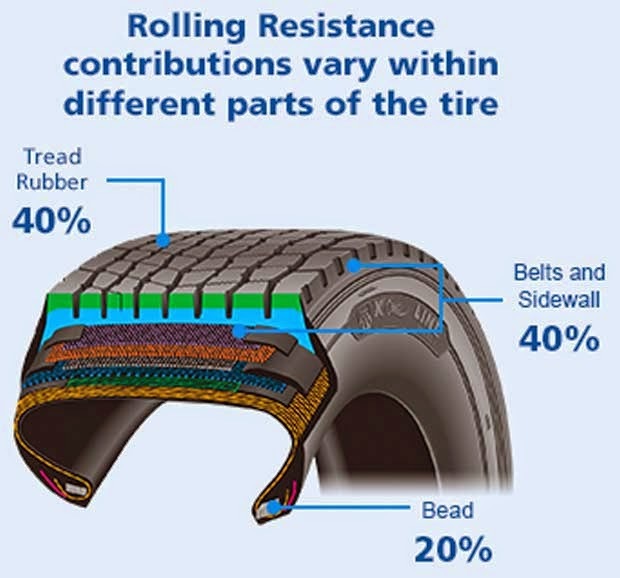 The rolling resistance can have a big impact on the range of an EV. The wrong tires (or under inflated tires) can significantly reduce the range. This can then impact how deeply the battery pack is cycled. Excessively cycling causes wear on the batteries and this too will (eventually) reduce the range and battery lifespan. So you see, that tires can really matter. How do you measure rolling resistance? I recently needed new tires for my car. Since I drive an EV, I wanted low rolling resistance tires. I started shopping for them, and all I could find was imprecise marketing terms. They had names like fuel-saver, or eco tire and they said things like 20% better than a standard tire. These vague terms gave me no way to compare one low rolling resistance (LRR) tire to another. I called my local tire store and asked if they had rolling resistance data for the tires they sold or knew where I could find it. They said that they didn't have it or know of anywhere that it was available to the public. A little more digging and I found that there are standard metrics for rolling resistance. It is defined by the Society of Automotive Engineers (SAE). 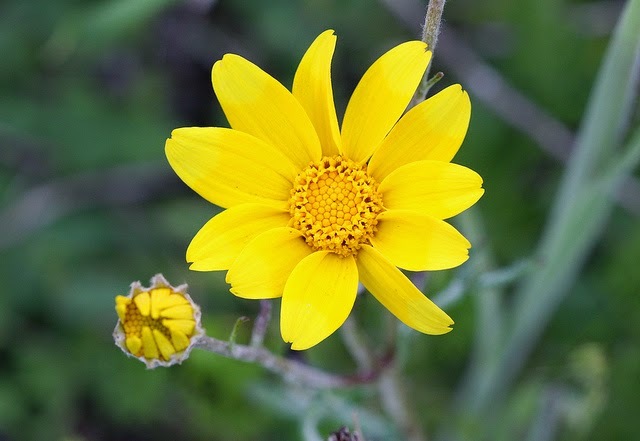 Let's take a look at the above formula (F=CW/r). The weight of my car (W) is fixed and so is the radius of the tires (r) that will fit it. 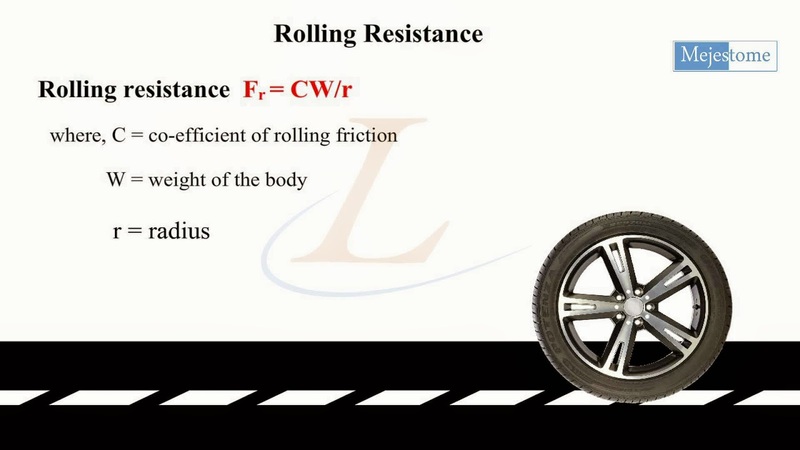 So that leave only C, the coefficient of rolling resistance. 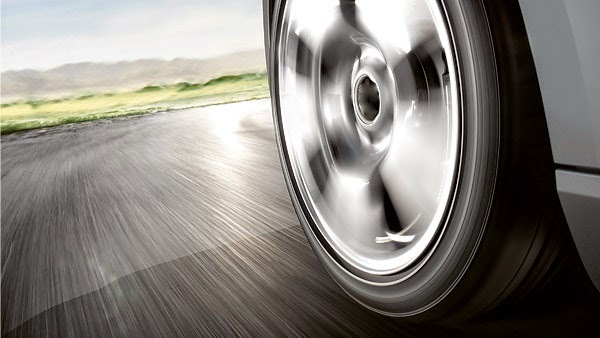 The coefficient of rolling resistance (Crr) for most new passenger tires ranges from 7 kg/ton to 14 kg/ton. I Want Low Rolling Resistance Tires! OK, so now we know there is an actual unit of measure that we can compare and what range of values to expect, but where can I find the data? Googling for Low Rolling Resistance Tire Lists, I found a list of tires from 2003 that were LRR with their Crr values. But that list is nearly 12 years old and LRR tires have made a lot of improvements since then. Checking Consumer Reports was no help. They recommend that rolling resistance only be used as a tiebreaker and that other performance characteristics like handling and braking distance should be the first things that you consider. That is probably good advice, but this just for my "around town" EV, so I am going to ignore it. For me, this is not just about saving 3% on my fuel bill, it directly impacts how far I can drive and how useful my EV is for my transport needs. 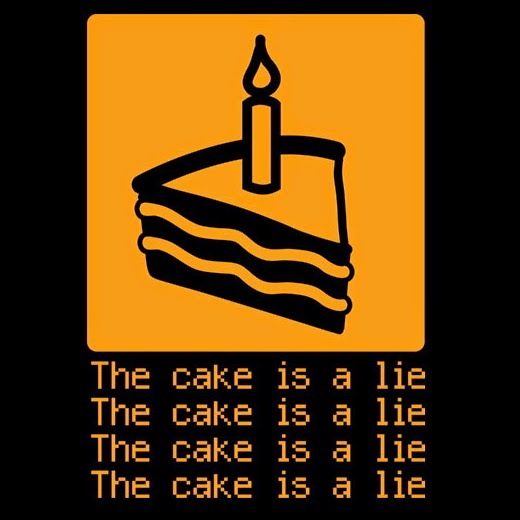 This left me with nothing but the marketing terms and sifting through anecdotal data on various car forums. I could just buy the same model of tire that came on the car when I bought it, but they wore out after less than 30,000 miles. 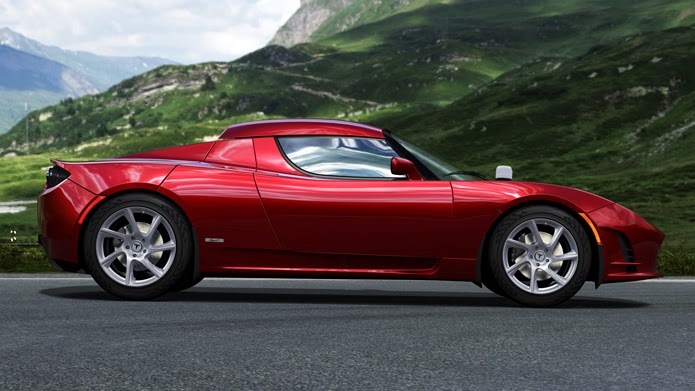 Tesla recently announced the Roadster 3.0. This updated Roadster is expected to have over 400 miles of range. In this upgrade they improved the batteries, the aerodynamics, and the tires. The new tires have a rolling resistance coefficient (Crr) of 8.9 kg/ton. This is a 20% improvement from the older Roadster tires that had a Crr value of 11.0 kg/ton. So Tesla can get this information. I am sure it is not too hard to find if you are in the auto industry and know where to look. If so maybe you can help the EV driving world out. If you know of a source where I can find Crr data for tires on the market today, please let me know in the comments below. 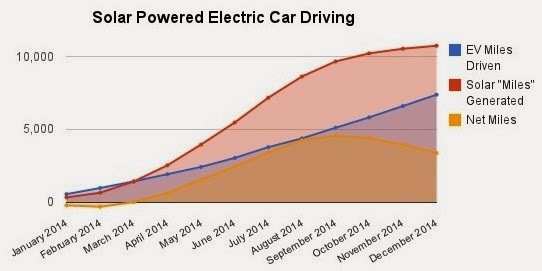 2014 was the seventh year that I've been "fueling" my driving with solar panels. 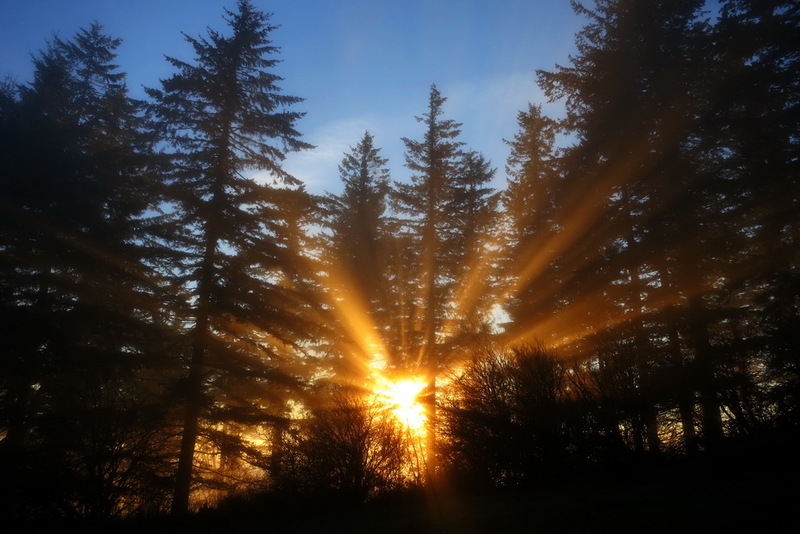 Yes, it is possible, even here in the rainy NW corner of Oregon. 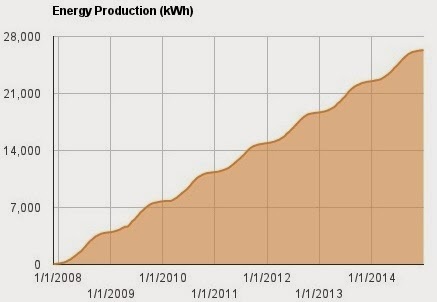 2014's production was enough to drive my electric car about 11,000 miles. During the year, I only drove about 7,400 miles. This left us with about 1,700 kWh of energy that were not used by our EV driving. This reduced our home energy bill. This is especially helpful in the summer when the home AC is on. Our home is in rainy Oregon, our PV system is a small (4kW) system, and it is facing-west (rather than the more optimal south). If solar powered driving can work here, it can work in a lot of places on the globe.